In case you have been waiting to see the updated version of the Apple AirPod, we have got news for you. The Apple AirPod was a huge success and now the company is about to launch an updated version, AirPod 2 to keep the vibe going and it is coming in the first quarter of 2019. Apple launched its AirPods wireless earbuds in September 2016 alongside the iPhone 7, It was easy to use, had good battery life and pair very well with the Apple Watch, sound quality is excellent, the auto play/pause function is great, the accuracy of the Siri controls is a pleasant surprise and call quality is impressive. If you were thinking of getting a pair of AirPods soon, you might decide to wait for a little while. 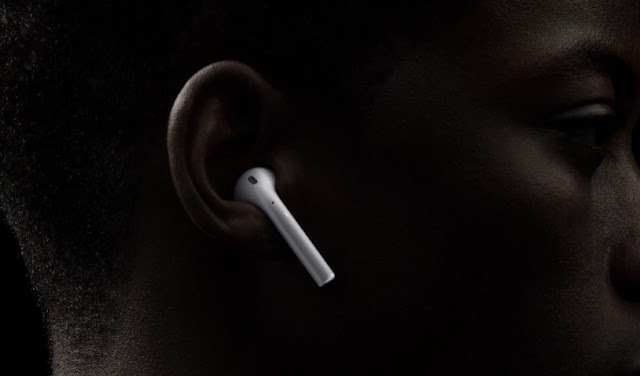 Rumours have suggested that Apple may launch new AirPods during the first half of 2019. There have been strong suggestions that the next version of AirPods will offer Hey Siri, so you will be able to speak commands to Siri that will be picked up by your earbuds, without needing to use your iPhone. Bloomberg reported that the second-generation AirPods would include a brand new wireless W2 chip that would enable better "Hey Siri" functionality. So, you could say Apple's magic words to activate it, instead of double tapping the AirPods. Also, that W2 chip will improve its connection to your phone and likely improve battery life. Another big feature is wireless charging, according to notorious tipster Ming-Chi Kuo. Apple already announced a version of AirPods that wirelessly charge, but those have disappeared (likely because the mystical AirPower charging mat has similarly disappeared). Apple is also likely to sell the wireless charging case separately so older AirPods users can get in on the fun. This second-gen AirPods was rumored to be launched at Apple's 30 October 2018 event, but nothing like such happened that. 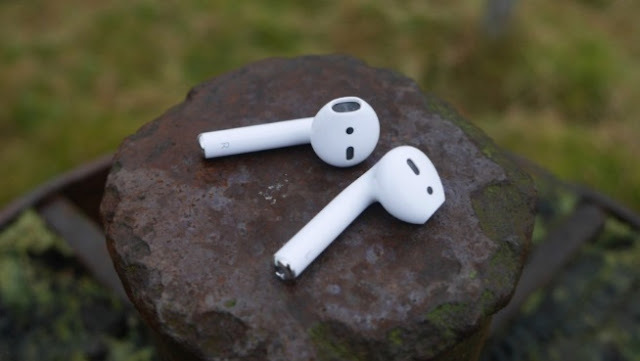 Now, Kuo has said again that the second-gen AirPods will see their release in the first quarter of 2019, which seems likely as it has been spotted by MySmartPrice that Apple has made its way through the Bluetooth Special Interest Group's regulatory database. For those desiring for a smarter AirPod, well, you have to wait until 2020 for the third-generation. Because, according to Ming-Chi Kuo, The third-generation AirPods are likely going to be water resistant so that they could survive splashes of water, rain, and sweat (in case of exercise). So, for now, you won't be able to swim with the second-gen or anything like that, but it's good to know you won't have to worry about them in bad weather. The 2020 AirPods could also sport noise cancellation features, but a premium feature like that would also likely see the AirPods rise in price. Kuo also says that we're likely to see a redesigned version of AirPods in 2020. We don't exactly know what that means yet, but if Apple is planning on adding a number of new health features, a new design is likely. A more advanced pair of AirPods with heart rate and ECG sensors is something that we expect, as evidenced by prior patent filings. Apple even updated its AirPods trademark to include a Class 10 designation in Hong Kong and Europe. The Class 10 is for devices intended for general wellness, specifically describes "health, fitness, exercise, and wellness sensors, monitors, speakers and displays for measuring, displaying, tracking, reporting, monitoring, storing, and transmitting biometric data, heart rate, body movement, and calories burned". There is a warning here. DigiTimes, which has a mixed track record, reports that the new pair of AirPods expected to arrive in early 2019 will use "discrete designs" for "health monitoring features". Currently, we are not exactly sure what that means, but it seems unlikely that serious health features could arrive in this 2019 version. When will the AirPod 2 headphones come out? Currently, there has not been any confirmation yet from Apple itself. 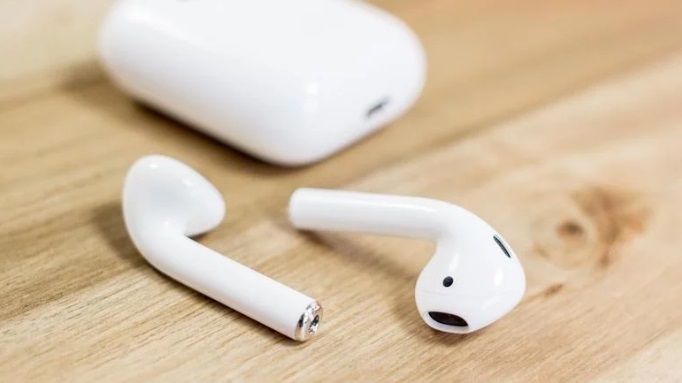 But, Rumours has suggested that we will see the new AirPod 2 in the first quarter of 2019. But, if we had to guess on a date, we'd suggest on the Apple Event coming up in March 2019, although there have been some rumours that the next-generation AirPods could launch even earlier in 2019.